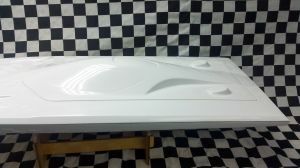 Delta Force Sniper 45 Fiberglass Hull. 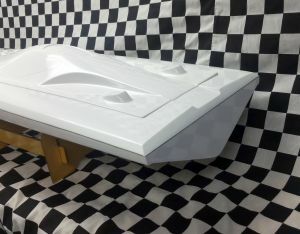 These light weight fiberglass boats are built for Fast Electric Rc Boat Racing. 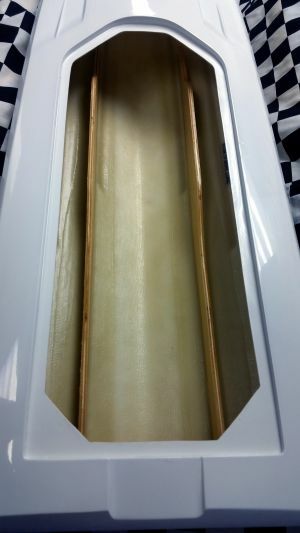 Designed as a deep vee with a small rear pad makes this boat both handle well and achieve a very good top speed. Hull and deck are joined leaving only a very small pencil width seam, similar to the European designed hulls. 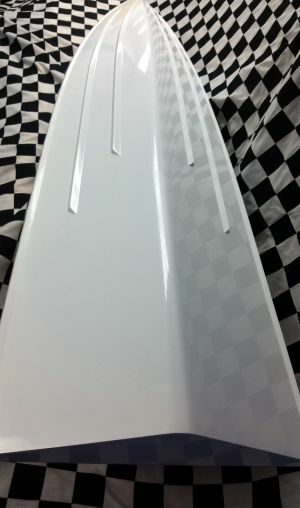 Includes installed rails that have a 5" wide spacing for rail style motor mount. Shipping is more than normal because this hull has to ship as Over sized. These are fast hulls that just crush the waves. I highly recommend this hull for electric or gas. best running boat I have, bar none. Fun. Never raced it. Neu 2215, 2y.Castle hydra 200. 8s. Likes the water rough.